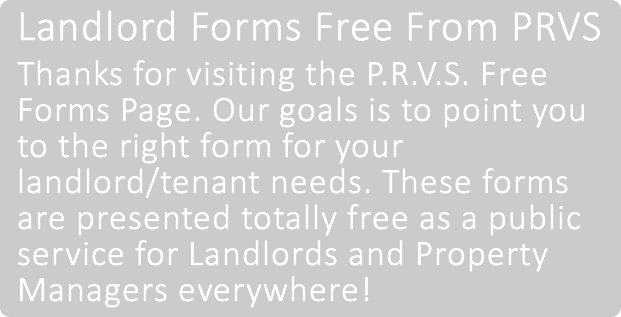 By downloading these forms you agree these forms are for your personal or company use only, and not for resale. Each of these forms comply with all California regulations, codes, and case law. No one approves forms, not the State Bar, D.R.E. or the Association of Realtors. Each publisher approves its own forms. Consult your attorney if you have any questions concerning the legality of these forms. P.R.V.S. assumes no liability for any damages whatsoever from your use of these forms.